Stephanie Hyde is the Head of Regions and Executive Board Member at PwC. She joined the firm in 1995 and became partner in 2006, before going on to join PwC’s Executive Board in 2011. Prior to this she led PwC’s mid-cap segment in the South East and its Assurance practice in Reading. 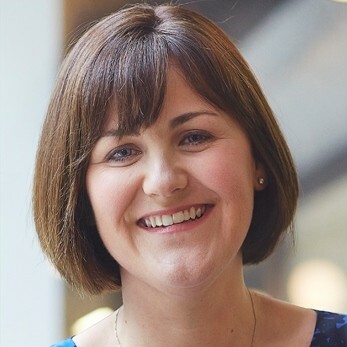 As well as playing a significant role in formulating PwC’s UK strategy, Stephanie also pioneered My Financepartner, the firm’s cloud-based solution that offers SMEs online accounting services and access to the type of timely, relevant management information usually available only to large corporates. PwC has a very strong online presence. Can you tell us about the firm’s digital strategy, and some of the results that the strategy has generated? As a firm, we look at digital in two ways: firstly from the perspective of our clients, and secondly from our own perspective as a firm. With our clients we feel it’s very much about having a business strategy for a digital age, not a ‘digital strategy’. In the past, people often used to focus on having a digital strategy that was somehow separate from their business, whereas they should really think about what their capabilities are, how they want to drive their business strategy, and how they can best use technology to do this. Certainly that’s the way we work with our clients. And we’ve succeeded in helping them either to drive their businesses in a more efficient way, or to use technology to reach more people while still focusing on what they’re best at. Meanwhile from an internal perspective, we recognise that – like our clients – we also need to think about how we do things differently. To get this right, we know relationships and networks will remain key. Technology doesn’t replace this need, it actually augments it. So we spend lots of time looking at how we can get more people using technology in the right way – something that I’ve personally been helping us drive and roll out. For example, with social media, how do we support our people through reverse mentoring, using the skillsets of our younger people to help those who are less experienced? And how do we ensure people feel confident they’re using social media in the right way? There are many signs that we’re answering these questions. For example, many of our leadership are now on social media, and we’re helping them think about how to build their own online presence. We’ve also pushed our reach out to about six-and-a-half million people – but we know we’ve still got more to do. We’re just going through another wave of the reverse mentoring programme, and we’ve had lots of partners and directors signing up for it. This shows we’re addressing people’s fear of what technology means in the ‘new world’. Why do you think most other professional firms seem so reluctant to embrace the ‘digital revolution’? I don’t know if I necessarily agree that they’re reluctant to embrace the digital revolution. Something that we see in many businesses is that people don’t always know where to start. This is often because they think about “how do I use technology?” or “what do I do with the technology that’s out there?” rather than “what am I trying to achieve, and how can I use technology to achieve it?” Of course, with professional firms there’s also the fact that they’ve been incredibly successful doing what they’re already doing – and while there’s not much change happening, it’s easy for them to think “we don’t need to do it yet”. But everywhere you look – whether it’s retailing or banking or taxis or estate agents – there’s change starting to happen, and it will come to professional services. As we look at our firm and where our relationship services will be needed in the future – the situations where people will come to us and say “I need your help with this” – I think it will become much more technology dependent. We’re already seeing that in areas like cyber security, where we’re not only helping companies face up to the challenges, but also getting them to a place where they feel confident in how their IT is set up. It’s a journey – and the winners will be those that press ahead with that journey and embrace it, rather than trying to fit technology into their current strategy. They need to think about what their strategy is, and how technology makes it easier. What advice would you give to professional service firms that want to expand their digital presence, but don’t have the resources of a firm like PwC? It’s not all about the technology – it’s about the services you want to focus on. For example, the challenge with using social media isn’t cost, but thinking through how you use it and make people feel comfortable with it. That’s a journey any firm can undertake. It’s also about helping clients think about what they could do differently in every area of their business – not just the areas where you’re working with them. As I said earlier, professional services firms don’t have to do everything themselves. If they don’t have enough resources, what alliances can they create? How can they work with other successful businesses to become more successful themselves? Those are things we look at that as well. We’re continually forming alliances and working with different people to achieve different things. And the same should apply any firm of any size. How do you see the accountancy market – and the needs of accounting clients and professionals – changing over the next five years? Once again, I’ll start with technology. There are lots of technologies that haven’t really come to the fore yet, such as Artificial Intelligence. In recent years we’ve seen knowledge become much more accessible. You can go online and find a mass of information very quickly on tax legislation or reporting on accounts. The problems are that it’s not always trusted, it’s not always easy to understand whether it can be trusted, and it doesn’t always give you all the answers. So knowledge will remain important – but it’s the accessibility and the trust behind the brand that will make the difference. So relationships will be key. The audit will still be very important, both for the health of the financial markets and for instilling confidence. I don’t see that changing in the next five years, though it might in the next ten to twenty. But what will change in this new environment is that people will be much more interested in Real Time Information and access. The companies that can think strategically about what their data is telling them and respond quickly and effectively will achieve much more at a higher pace than their competitors. I don’t think anyone is immune from startups coming in. You now have taxi drivers in cities worldwide being disrupted in a way that hardly anybody could have conceived of a few years ago. Who would have thought that taxi industry would be impacted so profoundly by technology? But while it would be very naïve not to think about disruptive entrants, it shouldn’t keep you awake at night. You need to be aware of the risk. And as people’s needs change, entrepreneurs will always come in and spot those opportunities. Aside from the rising scale and pace of disruption, the other big change is that things have become so much more global. We know that today’s students think differently: many don’t necessarily want to stay in a career here for the next thirty years, or make partner. They want to try different things and be entrepreneurial. They’re also much more comfortable about change happening because they’re so accustomed to it. It’s the same in other industries: banking is used to employee attrition of 2% to 3%, but if a bank doesn’t have a decent technology offering, it’s more like 25% attrition among the under 25’s. That’s a marked difference, and as we work through the generations I think you’ll see this shift happening quite quickly.